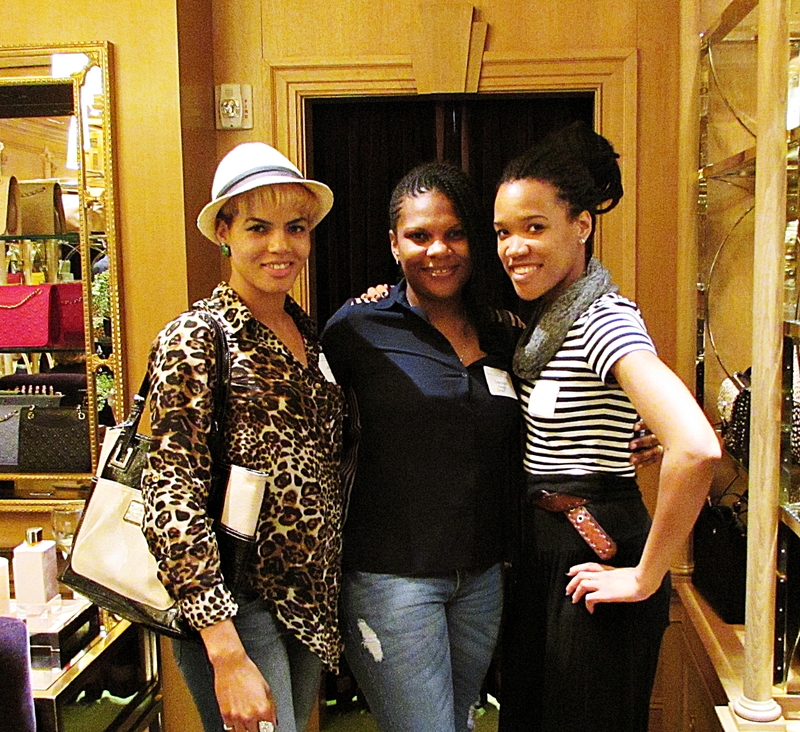 Last month, I was invited to an event hosted by Spence – Chapin to view Tory Burch fall collection on Madison Ave. The collection was very appealing and if you were interested in purchasing, they had a discount off anything in the store. Waiters were serving unique hors d’oeuvre and champagne as attendees viewed the collection. They had a few fragrances…nothing outstanding about them, although I did expect better since this was a high-end brand. They had a scented candle and it smelled amazing! As you continue upstairs, the rooms resembled luxurious bedroom-like closets with couches, chairs and coffee tables. Beautiful decor lavished the rooms surrounding the merchandise. I didn’t even feel like I was inside a store; it more like I was inside of someone’s luxurious house and I was simple taking a tour of their several closets. As the event was coming to a close, I rushed around to take a few more photos of where I didn’t take time to tour around. But I had a great time with my girls, my cousin from out of the country and a close friend. Until then!